shedwebadmin 23 May 2018 10:04 am said..
SW7s has quickly become one of the biggest multi-sports festivals across the South-West. With music and entertainment offered throughout the weekend, come along for the day or pitch up for the whole weekend. Kick start your weekend at the SW7s 2018 launch party, which includes live music, fully stocked bars and plenty of beer pong! This is when the Men's and Women's Rugby 7s Social, Open and Elite Cups as well as Netball and Dodgeball will take place. Structured as group stages that will lead on to KO and finals. A jam packed day offering all levels of sports teams and entertainment throughout. A great day for everyone, whether you plan to play or show your support from the side lines. A full festival line up of some of the best live bands and DJs from across the area. This year features music from the incredible Call of The Kraken and DJ Chloe Bodimeade. No need to worry about getting a taxi home either, just ensure you opt in for the camping or glamping option when purchasing your tickets. we invite parents and children of all ages this will be a great day out to end a super weekend of sport. With Rugby 7s at its heart, come and enjoy a weekend of fast paced sport, incredible live music, food, drink and camping in Bristol this June. 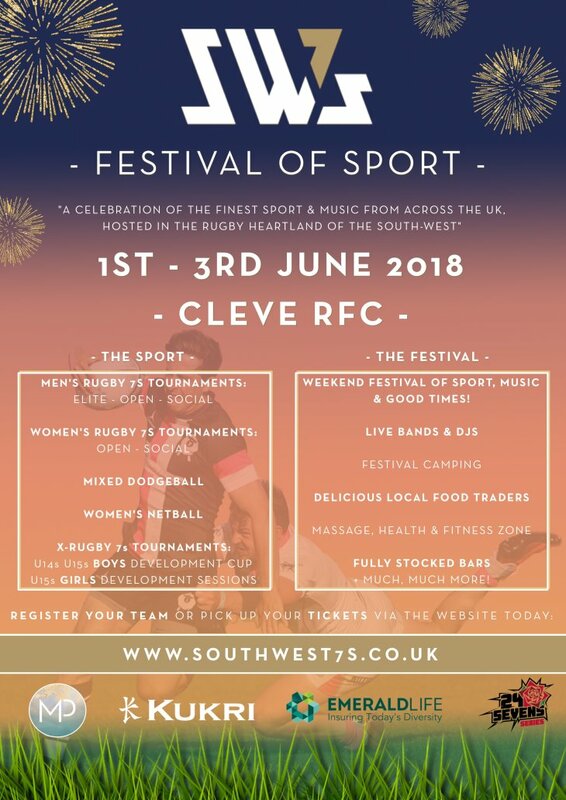 Open to families, local businesses, charities, traders and suppliers – the team behind SW7s have created the firm foundations for one of the most exciting, fast paced events to come to the South West!